We’re told these things are normal, our brothers and fathers and male figures alike are told the same. We’re told there are aids to help when things take a turn for the worse, but, if we’re being honest here, there is an implied understanding from the get-go that these discomforts are just a typical part of being a woman; that it’s on us to accept them as standard and endure them as such. It is not standard to be curled in a foetal position on the floor laying in a pool of your own vomit and menstrual blood. It is not normal to fall to your knees in tears clenching your abdomen whilst you ponder the probability of being able to rip out your own uterus. We’ve all laughed at the cliché period jokes about throwing pieces of chocolate at her from a safe distance, or at that one joke in Mean Girls about the girl who has super heavy flow and needs a jumbo tampon, but it should not be expected of women to endure pain and discomfort and irregular, sometimes torrential bleeding, as a customary ‘side effect’ of womanhood. There’s nothing funny about someone being in agony. Endometriosis is a chronic condition where the cells which naturally line the uterus grow on and around the pelvic and abdominal organs. In some cases, occasionally Endo is found in the lungs or brain. Approximately 10% of women (176 million globally) are affected by this condition. The purpose of periods is for the body to shed the ‘old/unused’ uterine lining to essentially prepare itself for a baby. Similarly, periods are like the body’s way of doing a spring clean before a guest arrives, however, with Endometriosis, the cells growing on other organs don’t get cleansed away. There’s nowhere for the growth to ‘fall away’ like the natural uterine lining in the uterus does. The endometrial tissue instead sticks to pelvic and lower abdominal organs and continues to grow, often becoming inflamed and therefore painful. Often these excess growths form patches, nodules or cysts, which bleed during menstrual periods but do so from within the body. Most cases of endometriosis are adaptively managed with the help of a gynaecologist, pain relief, hormonal treatments, pelvic physiotherapy and nutritional and psychological support. Occasionally, Botox is used to relax the muscles of the pelvis just to give that little bit of relief. However, the average diagnosis period for Endometriosis is 8-10 years. A whole decade before women typically undergo a laparoscopy to determine, scrape, burn and treat the growth. Gynaecology nurse and co-ordinator of the Epworth Freemasons Endometriosis Support Group, Wendy, has seen it all when it comes to Endo, including a case of a twenty-one-year-old woman undergoing an elective hysterectomy for the sake of relieving her pain and improving her quality of life. Wendy works directly with patients pre-and-post op and encourages them to seek out all areas of preventative and reactive management that are available. Women are encouraged to see professionals such as pelvic floor physiotherapists. Women often need holistic care, including support groups, specialist surgeons, expert pain management, psychologists, sexual counsellors, fertility services, dieticians and physiotherapists. Complimentary therapies may include relaxation techniques, mindfulness meditation, yoga, acupuncture, gentle exercise and Chinese medicine. Because Endometriosis is typically ‘invisible’ to others and misunderstood as a condition, it’s remarkably hard to explain the extent of the discomfort and the symptoms she is experiencing. These women are often exhausted, they begin their normal day inevitably with less resilience and energy than most, notes Wendy, because their bodies are tirelessly coping with pain and fatigue. Their pain tolerance is often quite remarkable, and even though she doesn’t look ‘sick’, it does not mean she is not in a world of pain. Her hormones are probably going berserk. This can be because of the condition itself, any hormonal treatment she’s on, or a combination. She’s probably got #EndoBelly, is feeling like a beached whale, and may feel she relates to the phrase “you look like death warmed up” (she’s still beautiful, remember to tell her that). She’s probably vomiting or experiencing diarrhoea/constipation, or both. If you’re her partner, she might not want to be intimate with you because of the physical pain it can cause her. Flares of pain and waves of symptoms can come and go at any time. It isn’t her choice, and honestly the best thing you can do to help is just by showing that even though you might not be able to empathise, you can sympathise and want to be there for her. 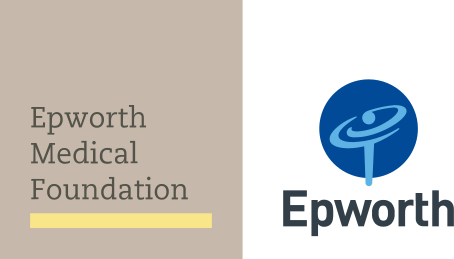 For more information on women’s health issues, support is available at Epworth Geelong Women’s Health Clinic and Jean Hailes at Epworth Freemasons.